Welcome Inside Olapic, our bi-weekly employee interview series where we chat with individual members of our global team to provide insight into their role, interests, and passions. At Olapic we pride ourselves on leading the charge for the Earned Content industry, but we know that it’s the people of Olapic to which we can truly attribute our success. Now, without further ado, meet an integral person at Olapic, also responsible for making our clients happy, the wonderful Jason Viglione. Customers come to my team amidst problems and frustration, and we make sure they leave happy. You have to be a detective. The tiniest bug can create huge issues. My team has to follow things that seem illogical to find a logical conclusion. When you look around the office, everyone really wants to work here. What’s one bold prediction for the future of our industry? UGC becomes immersive via Virtual Reality. Rather than consuming content as a watcher, we can use VR to be a part of the experience of the author. In your opinion, what brand is doing a great job of using UGC? My go-to is always giggle. They are a constant feed of happy babies. Who doesn’t love happy babies? 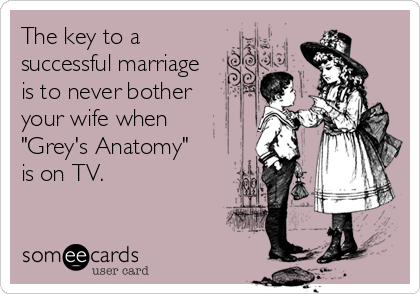 Grey’s Anatomy. Because my wife said so. Spend every waking moment with Linda and #NickyT. Probably enlisting. Saved my life, but being in the military was so incredibly hard, every day. Big #eatlikevig breakfast. An afternoon with my wife and playing with the little guy. Movie time at home. Cooking Italian (w/ vino, of course). I make red wine with my father and brother. Pretend my dSLR and lenses do more than collect dust. Until recently, I’d been doing semi-pro photography for about 11 years. What’s your go-to karaoke song to sing? Ummmm… mine? Just kidding. Actually, @kidsaretheworst is very funny.